Detailing the physical features, habits, territorial reach and other identifying qualities of the Soft-Winged Flower Beetle. This particular Soft-Winged Flower Beetle has found a new home in the eastern part of North America after traveling across the ocean. 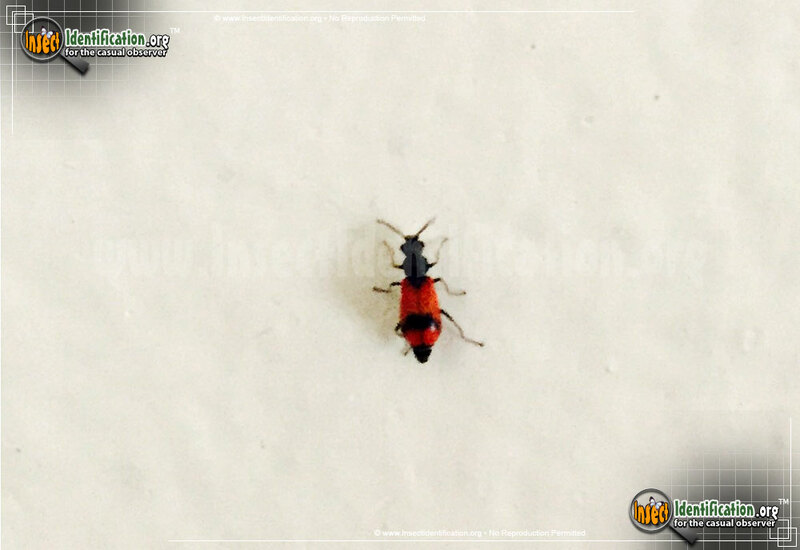 This red and black beetle may be more orange than red, and more dark green than black. The red color on the wing coverings crosses near the head, and two smaller spots are near the bottom edge. Legs vary in color per individual; some are black, some are orange, some are both colors. It does not bite or sting. This non-native beetle is not a pest like other introduced beetle species. It does occasionally wander indoors, but does not infest homes or buildings. Like other summer bugs, it can be released outside.